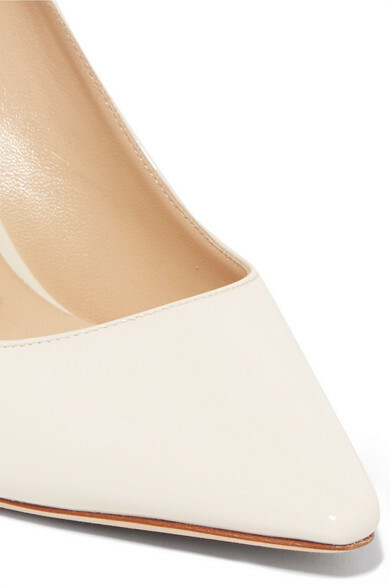 Jimmy Choo's 'Romy' pumps are a label signature. 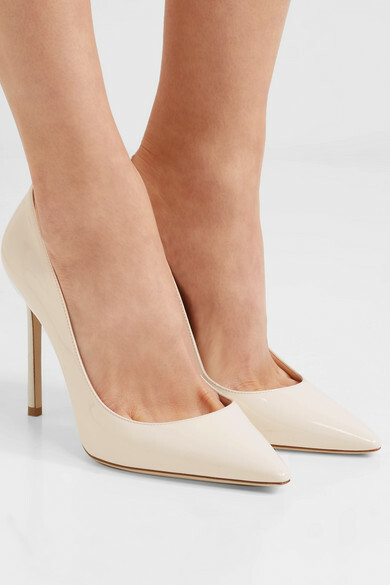 Updated in white for the season, this patent-leather pair is designed with a pointed toe and slim 100mm stiletto heel. They're the easiest way to freshen up denim or add a contemporary feel to romantic dresses. 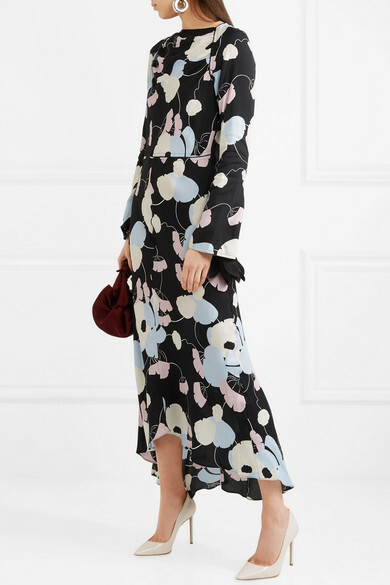 Shown here with: Marni Dress, The Row Tote, Ellery Earrings.